While growing up, my dad and uncle shared their household with my great grandmother from Belgium, giving our family a very strong link to the French culture. My dad’s generation had never attempted a serious study of French that I know about, and French conversation in the household consisted of a few phrases. These stories, though, prompted an interest on my part to become at least a little familiar with this part of my family tradition. An obvious place of interest to me is Lafayette, the unofficial capital of French Acadiana where French families settled after they had been “kicked out” (I believe that is the technical term) of Nova Scotia and surrounding provinces by the British settlers during the “Great Expulsion” from 1755 to 1764. Some of these refugees found homes in the Thirteen Colonies, but a large number arrived as a group in 1765 in what was then the Spanish ruled colony of Louisiana. Because of their numbers, though, they and other French colonists preserved French as the predominant language of the area, and Louisiana fell back under French control shortly before the time it became the American “Louisiana Purchase” in 1803. Remarkably, French remained the primary spoken language in Acadiana through at least the 1930’s and early 1940’s (the boundaries of Acadiana being based on the areas where French was spoken). When I visited in 2017 I can say that I really never heard any French spoken by the residents there. I was searching for it (such as listening to French radio stations, etc. ), and I know it exists, but today this is not a French speaking area. Through sources such as YouTube you can find videos of Cajun French, and it is obvious that the expert speakers are primarily of the older generation. In the short term the language has not died out because there is a diligent effort by much of the younger generation to keep it going. In the long term, though, it is hard to know what is going to happen. This narrative is meant to give a background for some things you can see when you are in this beautiful and totally enchanting area. 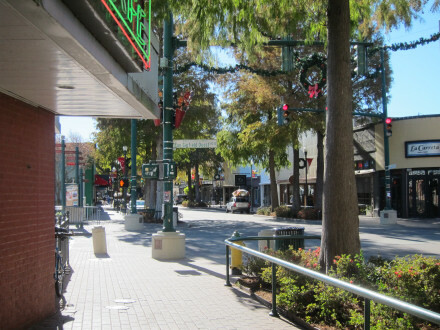 An area that may at first look like downtown is the “commercial district” along Pinhook Rd. located just south of the historic city center. 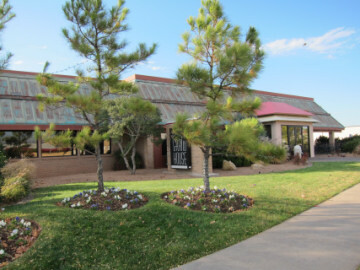 This area has a wide choice of hotels and is away from the Interstate traffic (Interstate 10 is about four miles to the north). 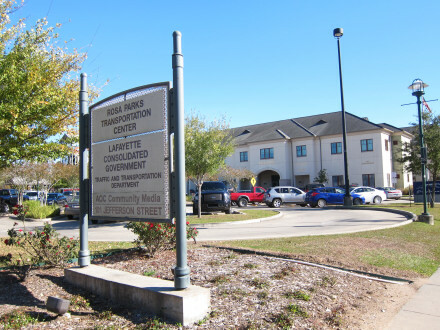 A good place to start an exploration of downtown Lafayette is at the Rosa Parks Transportation Center at Jefferson St. and Cypress St. To get here from Pinhook Rd. 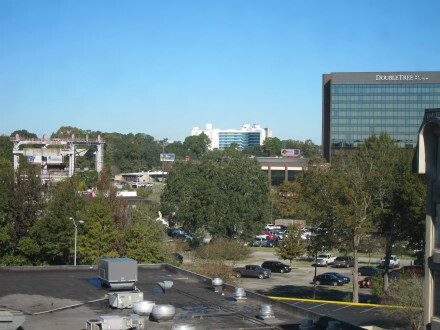 go east to the Evangeline Thruway where you turn north, turn left when you get to Jefferson Boulevard and go about four blocks until you see the large public parking area (parking is free). This is also the parking lot for Amtrak, Greyhound Bus, and several city and parish offices. 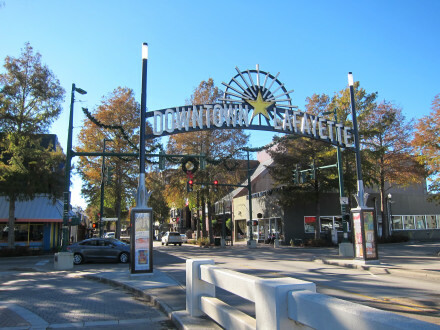 While headed west on Jefferson you will also notice this entrance sign to downtown Lafayette (this is the historic downtown area). This view is looking west from the parking lot shown in the last photo. The building at the left edge of the photo is Dat Dog, a casual restaurant that I went in to investigate, and found that it could be of interest to foodies (although I was not able to try it at that time). Along Jefferson Street are some shops, restaurants, bars, etc. that could be of interest to visitors. Mainly I thought it was very visually appealing, and not typical of what you would see in a city’s downtown (just south of this area is the main part of downtown with more traffic, parking lots, etc.). I wasn’t there at the right time, but Dwyer’s Cafe (323 Jefferson St.) is known as the home of the “French Table” where people gather at 7:00 am to enjoy breakfast and speak French. 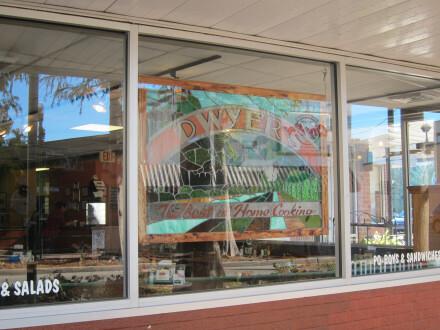 Of course I think Dwyer’s also has good food (which I also was not able to try on this visit). There is a YouTube video in French showing the group who meet at Dwyer’s as well as other efforts to promote the French Language: Louisiane 2010 – Parler français. The video caption says some of the people who come learned the language from their grandparents but did not know where or when they would have a chance to practice it today (and the meeting at Dwyer’s gives them the opportunity). In fact, if you wish you can find a multitude of videos about Cajun French on YouTube. My big takeaway from visiting Lafayette, though, is that they speak English. If you want to practice your French you may have to seek out someone who can converse with you. For those not interested in the language the Cajun food is reason enough to visit Lafayette (but I think there are opportunities to experience the language as well). Most of all, though, this is a very livable mid-sized city with plenty of food choices of all types, and it is a good base from which to explore the surrounding area. This area of Louisiana certainly seems to rank with northern New Mexico as being one of the most unique cultural areas of the United States. One commonality of these two areas was the homogeneous language and cultural group each had that allowed their native language to survive, and which to some extent is present today. My Restaurant Guide lists some restaurants I tried as well as ones that look good and would be on my list for future visits: Louisiana Restaurant Guide. I want to be sure to mention Poche’s, in Breaux Bridge a few miles east of Lafayette, for excellent home style Cajun food. While Lafayette and the surrounding area may not always exude an obvious French culture in its day-to-day life, there is much to discover just below the surface, or simply by knowing where to look. An excellent source seems to be the Lafayette Travel web site, with links to events, attractions, food, and any other information that might be of interest to residents and visitors (I compliment them on the amount of information that is available on the site). Outdoor concert series are often scheduled multiple times per week (with the most taking place during the best weather seasons of spring and fall or at the appropriate time of day for the musicians’ and audience comfort). Indoor concerts and dances are also available on a frequent basis. Much of the local music is performed in Cajun French or has French roots, and this music has continued through the generations at dances and just about anywhere people got together for a social occasion or to have a good time. The Lafayette Travel web site seems to provide information about the easiest ways to find whatever musical event is going on. Lafayette and all the surrounding cities celebrate their French roots through the local cuisine, and the Lafayette Travel site offers a multitude of suggestions. My experience is that a little bit of searching on web sites can result in very positive results in finding Cajun food or other types of local cuisine. In fact, even many people in New Orleans say the best Cajun food is not there, but in Acadiana. According to the list Dwyer’s Cafe has their meeting every Wednesday at 6:30 a.m. This is only one of nine places currently listed in Lafayette which have a French Table, with others available in surrounding cities. I really have a couple of takeaways from visiting the area: (1) If you are interested in exploring any aspect of French culture in Louisiana it is easy to find with a little bit of searching, although it will definitely not be a situation where you will feel like you are in a foreign country and do not know the language, and (2) If you are coming primarily for Cajun food I think it will definitely be worth the trip–any cuisine is its best at the source, and I definitely found that to be true here. Note: This is a narrative of the original walking tour on Jul. 18, 2016 which covered the east side of Classen Blvd. from N.W. 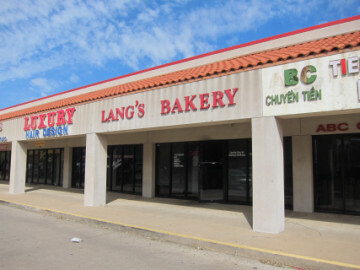 30th St. to Lang’s Bakery at 2524 N. Military Ave. I thought I would give an update about what is going on in the Asian District, located along Classen Boulevard in Oklahoma City. The title should really be the Asian District on the East side of Classen from N.W. 30th to N.W. 23rd, but that is far too long. In any case, I was not able to cover everything in what is known as the Asian District, but this is a start. 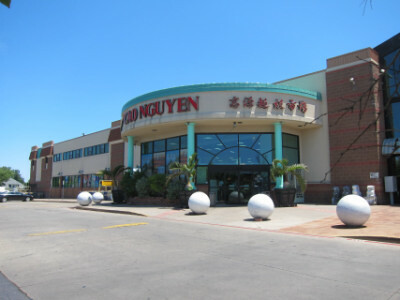 The east side of Classen could be considered the heart of the district because it is where the two major super markets are located–Super Cao Nguyen and Chinatown. A number of important restaurants are also here, but a good number are located in the area I could not cover by foot, namely on the west side of Classen and along N.W. 23rd St. I also recognize that there are some important restaurants north of N.W. 30th, such as Lee’s Sandwiches at 3300 N. Classen. In addition there is an area near N.W. 23rd and Pennsylvania (about a mile west of Classen) that is a spin-off of the Asian district, and which contains several notable Asian and other types of restaurants. My walking tour began at Pho Cuong at the southeast corner of N.W. 30th and Classen. This is arguably the best pho in town (although this title has some serious competition by other restaurants such as Pho Kim Long at 1121 N.W. 23rd St.). My favorite dish at Pho Cuong, though, is actually the Bánh Tam Tom Thit Nuóng, a vermicelli dish with grilled pork skin and shrimp (but it is especially interesting because of the coconut syrup that is served with it). This is a very interesting restaurant for the menu items other than pho, and would be one of my first choices for this type of food. 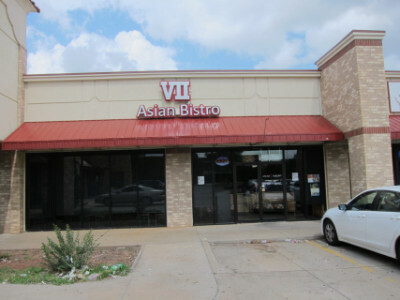 VII (“Seven”) Asian Bistro is a very recent addition to the Asian District, and has an upscale interior (in the Asian District, having “Bistro” in the name is a giveaway for this). I went inside and looked at the menu. It seems to cater to non-Asians in a good way (having menu items and food descriptions that can be easily understood). I thought the food looked like “real” Vietnamese food, but they just didn’t have a large selection of unusual or hard to find items. Golden Phoenix had a major fire a few years ago, and they used the opportunity to upgrade the restaurant when they rebuilt. I have not eaten there since the fire, but I did go in to take a look. The menu is much more extensive than before, they have upgraded the interior to a “bistro” style, and they are now open daily (it used to be closed on Wed.). As far as the food, I thought this was the best Vietnamese restaurant in Oklahoma City before the fire, and I expect that it still is. Of course, there are certain dishes at other restaurants that I like better. Also it seems that other restaurants are upping their game to serve more traditional style dishes than before. one thing that impressed me about Golden Phoenix was that they served the Bún Bò Huê with the congealed blood balls, and so far no other restaurant in town that I have tried has done this. Although this may not be everybody’s idea of good Vietnamese food, I thought it was good but probably not my favorite dish. One that I would really recommend, though, is the Vietnamese pork chop (something that is very good but does not contain any mystery ingredients). Golden Phoenix also has a Chinese menu. I did not find it quite as impressive as the Vietnamese menu, but the food I had was authentic Cantonese cuisine, and I certainly would not complain about the Chinese food here. This super market is next door to Golden Phoenix, and was also rebuilt after the fire. It is more small scale than the Super Cao Nguyen, but people say some things are better here. The thing I always try to buy here is the Pearl Soybean drink by Mong Lee Shang (I like the strawberry flavor). This is a drink from Taiwan that has tapioca balls at the bottom, and is the best of about two dozen drinks I have tried from both Asian super markets. Gia Gia (pronounced like the word “jaw” said twice very quickly) is another new restaurant that I have not yet tried. I actually went in and was intending to eat here, but there was a communication difficulty and I could not find out if the food had MSG. I read that they have banh xeo, a dish I have been trying to find at a number of different restaurants. At Gia Gia it is an appetizer, though, and combined with the fact that I didn’t know whether it contained MSG, I decided to pass (but I plan to go back and see if I can find out). The good thing about the Asian district is that you can always find another place to go, but the bad thing is that I can’t possibly try all the dishes at all the restaurants that I would like. 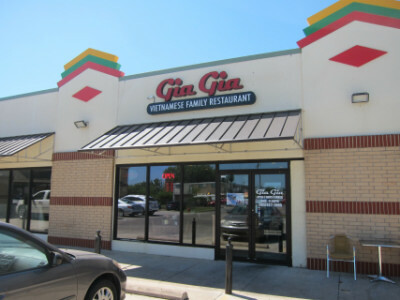 This is the oldest and largest of the Asian super markets in the area, and is located one block east of Gia Gia (Military Ave. runs parallel to Classen). Outside of the one drink I buy at Chinatown, I get almost everything I want here. In fact, my only experience with a better Asian market was in Seattle (but even in Seattle there is a limited choice of Asian super markets as there is in OKC). One thing that has never looked very appetizing to me here has been the food stalls. This is another example where I think someone from Asia might be better able to find the good items than I would. The tea selection at Super Cao Nguyen is quite good, but the choice of specialized teas is not the same as can be found in Seattle. Super Cao Nguyen also has a good selection of chopsticks, cookware, and teapots. The candy selection is very good, and overall the drink selection is much better than at Chinatown. Some of my friends who buy Asian vegetables have indicated that they like Chinatown, but I think sometimes they also come here. Mr. Pho is one of the restaurants located in a small building adjacent to Super Cao Nguyen (go to the door just south of the super market’s main entrance). The reason I have not visited Mr. Pho often is that I have had more than one MSG reaction from the food. The food is very good, and of course the reason restaurants use MSG is for the flavor. Mr. Pho is also a very friendly place for English speakers, and they will tell you the food has MSG (along with anything else you would like to know about it). I certainly think this is a good restaurant for many people, but just not the ones with MSG allergies. 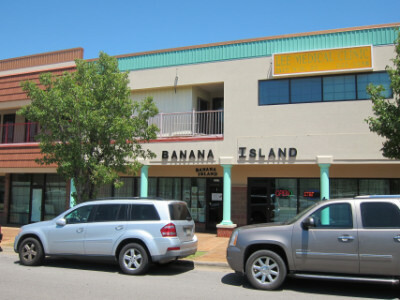 Banana Island’s side entrance on N.W. 25th St. This Malaysian restaurant is located in the same building, and is one of the restaurants I am very anxious to try. I would not really expect it to have Malaysian food that is the same I have had in other cities, but since I have never had a bad dish at any of these places I come with the assumption that all Malaysian food is worthwhile. Banana Island changed owners a few years ago, and the reviews have not been as good since then. All I can say is that I went by the restaurant, looked inside, looked at the menu, and looked at the photos they had of the food. It looks like a very good restaurant, and I would assume the best instead of the worst here (it is possible they have already made some adjustments since reopening that addressed some of the customer complaints). The sign outside indicated that this was a juice and tea place, but only afterward did I find out that they have a food menu (mainly rice and noodle dishes). The menu is in English and Chinese, and it seems that the food is Chinese style. Still, most people say that if you come here you should be sure to get one of the drinks. 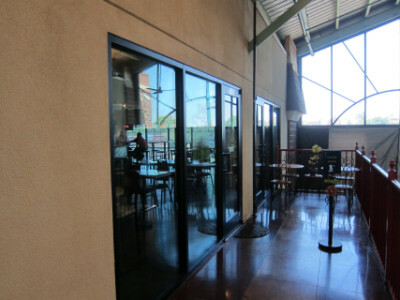 Cafe Oasis is open daily except Sunday evening, and is on the second floor (it is accessible by an elevator). 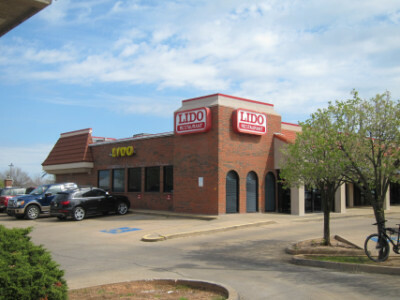 The entrance to Lido and Lang’s Bakery on Military Ave. This may be the oldest Vietnamese restaurant in the city, and has probably been more famous for its vermicelli dishes than for the pho or other items that are popular at other restaurants. Personally I think the vermicelli dishes may be the best in town if you stick to the basics (pork, chicken, egg rolls, etc.). The only thing is that the fish sauce seems very Americanized to me (still good, but I think a more authentic one is on the other side of Classen at Pho Ca Dao). Lido has always been one of the best restaurants for Vietnamese food initiates to try the food and find out what it’s all about. Lately I think it has become more than this by expanding the menu, and I think there are more exotic dishes to try if you wish. Personally, I usually stick with the vermicelli bowls here because it is hard to find anything better at other restaurants. Lang’s Bakery has been on my radar for a long time, and I finally got a chance to eat here on my walking tour. I think it was a fitting choice among all the other good alternatives that are nearby, and certainly one that I would recommend. Banh mi sandwiches are the most popular item, but they also have more authentic versions of noodle bowls and noodle dishes than are found at Lido and some of the other “tourist” restaurants. The dish I tried was something that I think many people would like as well (No. 19 “Banh Uot Cha Lua). This was a rice sheet topped by a delicious Vietnamese ham. The people here speak excellent English, and it can be an excellent choice for those who want something a little more authentic. If you would rather skip lunch, though, it is still an excellent place for desserts and baked goods. I paid $2 for a delicious French style flan, and the restaurant cited this as one of their best and most popular items. 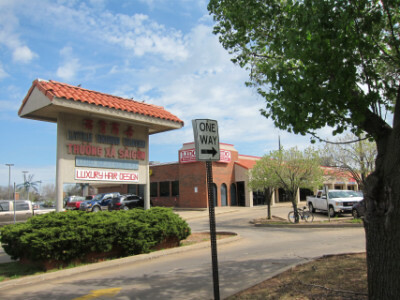 The east side of Classen (outlined in this article) is the greatest concentration of Vietnamese restaurants in the city, while several large and well known Chinese restaurants are on the west side of the street. This is called the “Asian District” precisely because there is a mixture of different cultural traditions in the area, even including some Guatemalan and Middle Eastern restaurants. Other Asian cuisines (such as Thai and Indian) are located primarily along N.W. 23rd St. This post includes a few tips about a few restaurants, but this just scratches the surface. New restaurants are opening all the time, and many restaurants have so many menu choices that this is as much a dilemma as an opportunity. I have only covered a portion of the geographic area, and each time I go I seem to discover something new. For me, always having new places to try is a good thing. The restaurants mentioned in this article have remained remarkably stable considering the change I noticed in 2016 compared to three years prior. 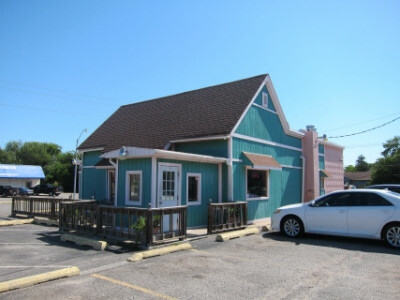 Banana Island has now been replaced by Tsubaki Szechuan Restaurant (the address is 1117 N.W. 25th St.). I have not eaten there, but I have been a somewhat regular patron of Tsubaki Sushi & Hibachi on Memorial Road, and have found good quality food (Tsubaki Sushi was passing out menus for their new restaurant, Tsubaki Szechuan). I also found out from 405 Magazine that Mr. Pho has closed. 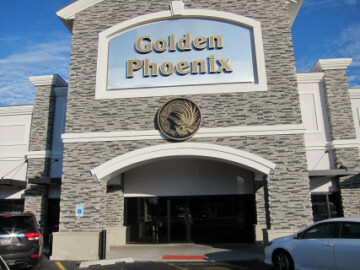 I have been to Golden Phoenix several times since 2016 and an now have some additional favorite dishes there. Most notably the curry on rice is the best I have found at a Chinese restaurant. Also I wish to expand the article a little bit to cover some restaurants not included in the walking tour, starting at N.W. 23rd and Classen. 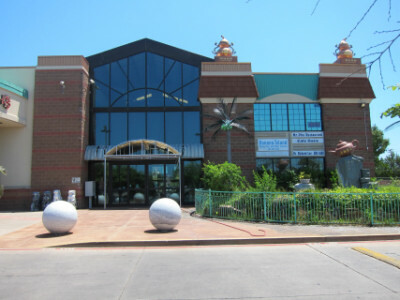 The outside of the building says Hy Palace Asian Restaurant. Pho Kim Long is inside, along with the larger Chinese buffet which I assume is named Hy Palace. A friend brought me a takeout order of “Beef Noodle Soup” which was excellent (pho is beef noodle soup but I think this one differs in not having as much broth). In any case, I have not physically been to the restaurant but I can recommend the food. 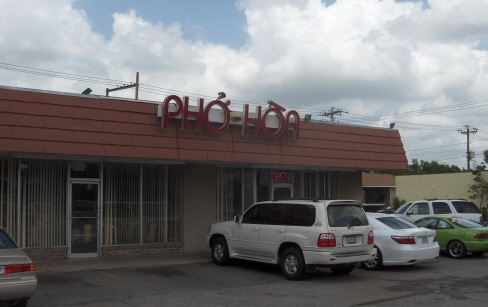 Pho Lien Hoa is one of the oldest and most popular pho restaurants in the Asian District. It was originally named Pho Hoa, and seemed to be part of a chain of restaurants on the West Coast with the same name (I had several good meals at the one in Seattle). I have eaten at the one in Oklahoma City after the name change, and I think it is indistinguishable from the original Pho Hoa. The pho here is notable for all the different types of meat from which one can choose (and also its good quality). For the broth I could argue that other places are better but this one is good as well. They also have what they call “pork soup” that I thought had a better broth, and is my favorite item out of the ones I have tried. Someplace Else Deli has been on Western within the loosely defined boundaries of the Asian District since the 1970’s (at the time the neighborhood was seeing the first influx of Vietnamese refugees that led to its unofficial designation as Little Saigon until the city recognized it as the “Asian District” in 2005). 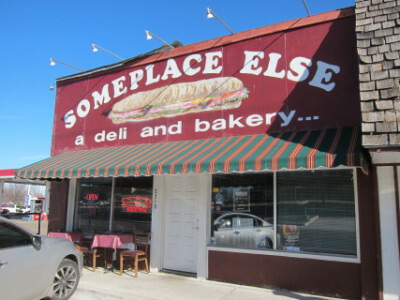 I went to Someplace Else for the first time in 2019, and found it to be an excellent sandwich shop that lived up to its reputation. Most of the sandwiches are made with Dietz & Watson meat, and I thought the house made Thousand Island dressing on the Reuben I ordered made it one of the best versions of this sandwich I have tried. The bakery part of it (brownies, etc.) is also a must try. 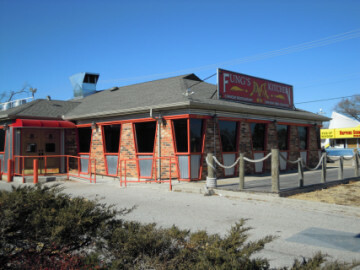 This restaurant has been a favorite of mine since it was on the Northwest Expressway in Warr Acres. Since it moved I have tried to eat here but I have found that it is mostly a buffet restaurant. At the old restaurant I almost always ordered something from the menu and had it prepared in the kitchen with my specification of a spice level. This is not possible at the restaurant on N.W. 23rd at lunch time because they only serve the buffet. It was also not possible when I recently tried to go in the evening but this was my fault (I went close to closing time). I am not knocking the buffet but I am trying to go when I can order from the menu. This is definitely on my wish list of things I want to try in the Asian District. Here I did not try the pho, but the chicken vermicelli plate. This was prepared differently from the others I have tried in OKC, and I liked it very much (especially because the fish sauce seemed more authentic than most). I have wanted to go back and try some of their other dishes. I have not been to La Brasa, but when I found out that one of the partners operated the now closed Inca Trail on N. May Avenue, this was enough recommendation for me (I thought Inca Trail was the best Peruvian restaurant in the city, or that I have tried anywhere). Note that La Brasa is only open in the evening, and offers dishes from other areas of the world besides Latin America. Grand House has an extensive menu, dim sum on weekends, and is certainly one of the best authentic Chinese restaurants in the city. 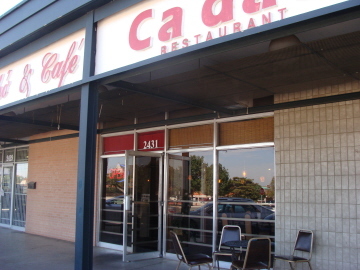 It is across the street from Golden Phoenix, and in many ways I think the two restaurants are similar. I think Golden Phoenix is better for “everyday” dishes such as noodles, congee, etc., as well as other dishes. For my favorite dish, though, pork and tofu hot pot, I think Grand House is probably the best in the city. Many restaurants in El Paso (particularly Mexican restaurants) offer Lent specials in the days leading up to Easter. These are usually served on Friday, but some restaurants have them for other holy days as well. I found out a long time ago that this is some of the best Mexican food served, and rather than Lent being a “fast” I always found it to be a treat to enjoy the food served by these restaurants. 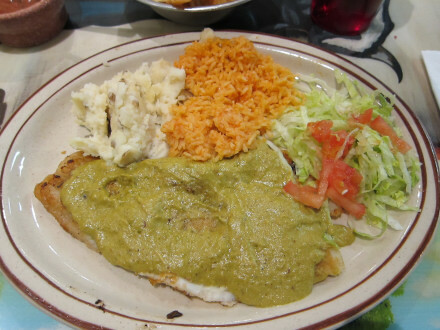 Most Lent specials are served with fish or shrimp, but some vegetarian dishes are also available such as enchiladas (they frequently use some special sauce that is not normally served on enchiladas). The Lent specials at restaurants can really be anything as long as there is no meat. 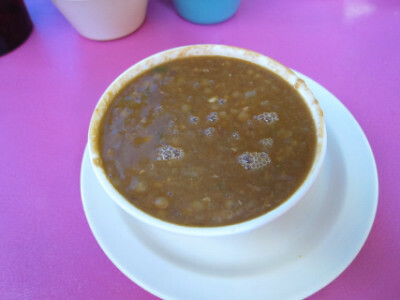 My favorite Lent specials are ones that include a vegetarian lentil soup (lentejas) and the traditional bread pudding dessert (capirotada). The main plate on traditional meals usually includes mashed potatoes and either rice or bread. I usually like to get fish because the restaurants usually prepare it so well, but I think I see about two shrimp specials on the menu for every one that is fish. This restaurant seems to be well known for its Lent special, although I just tried it for the first time this year. Unlike other restaurants, though, San Isidro only has one Lent special. 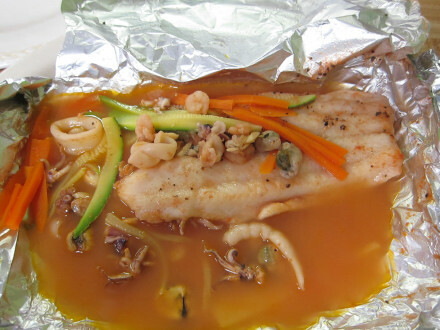 It is called Pescado Marinero, and is cooked in foil with a fish fillet, clams, squid, and shrimp all cooked together. Frankly, I went with a friend who shared this dish with me, and we both got full. We were both very happy with the food as well. The dinner came with lentil soup and capirotada (the only down side with sharing the meal is that you only get one of each of these side dishes). The up side of this meal was that the fish was good and the seafood and vegetables mixed in were a nice added touch. The down side was that there were no other items on the Lent menu–this was the only special available. The lentils were prepared in a different style than the others I tried (heavy on the cilantro) and were very good. 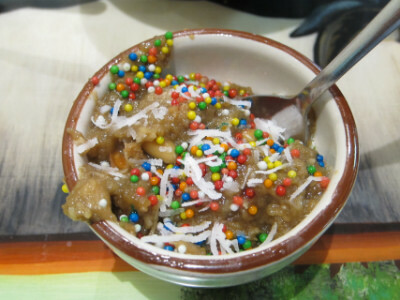 The capirotada was moist to the point of being soggy (more like an actual pudding than the others). Although different, this was also a worthwhile experience. Edit: I should mention that we got an extra order of lentils and that is the reason both of us were full. Carnitas Queretaro is the only restaurant I have found which serves Filete Veracruzano (fish with Veracruz sauce) on a regular basis, meaning every Friday during Lent. Thus, I got to try the one dish which is probably my favorite during Lent. I loved the sauce here, but the fish fillet was probably the most disappointing out of the ones I tried this year. I also know that it was not up to the standard I experienced in previous years at Carnitas Queretaro. This was quite an expensive meal, and I just do not understand why this restaurant has changed so much (even so it was almost worth it to get such a good veracruzana sauce). The lentil soup and capirotada were both excellent, and Carnitas is excellent on items such as the chips and salsa. The main plate came with mashed potatoes, rice and bread. To me this is overkill on the starchy items, although I enjoyed the mashed potatoes very much. Delicias Cafe had good fish and an excellent poblana sauce. Several shrimp items were on the menu, and the staff explained that the owner and chef decide the night before what items to put on the Lent menu (so it changes weekly). The lentils here were probably my least favorite of the ones I tried, but the capirotada was one of the best. The meal was a little bit strange because they had put “Filete a la Veracruzana” on the menu but the meal they brought me had a different sauce (the poblana sauce). When I asked about this they gave me some veracruz sauce to try, but I found that the poblana sauce was actually much better. In any case, if you are all right with being surprised (in a good way) then this is a good place to come. 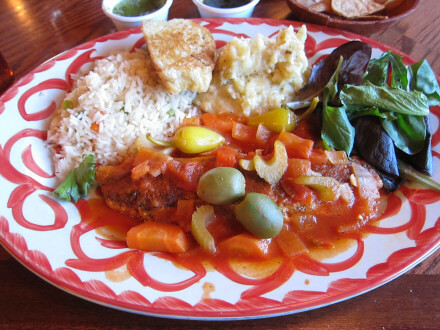 Edit: I returned to Delicias on Good Friday and ordered the Filete a la Veracruzana. It confirmed my previous observation that the poblana sauce was better (and at Delicias I would probably skip the veracruzana sauce). El Jacalito is one of the restaurants that changes the menu weekly, and like most of them offers both fish and shrimp. 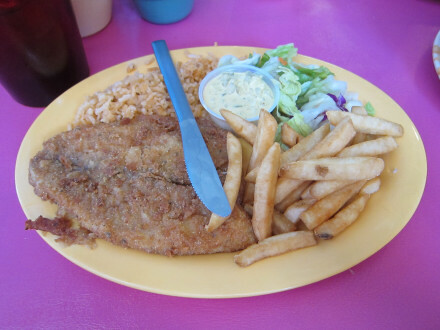 This is my favorite restaurant for the veracruz style fish (which I did not have this year), but it is also my favorite for breaded fish (empanizado). In fact, this is really my favorite place for Lent specials. One reason it is good is because of the price, but where the food is concerned I really like everything I have tried. The breaded fish had a very good sauce which was not quite like the veracruz sauce I had hoped to try, but what I had was very enjoyable. The fish itself was very fresh, and was the best I tried at any restaurant (although San Isidro was very close). The lentils and capirotada are always my favorites here, and this year was no exception. El Jacalito is only open for lunch (as is San Isidro) but it is a great place for Lent specials if you can make it. Sometimes they do not have either the breaded or the veracruz style fish, but others may be happier with the shrimp options than I am, and there are other items on the menu you can also choose (enchiladas, etc., or even a meat item if you are not following a Lenten diet). In any case, I think it is worth coming here just for the lentil soup and capirotada. In past years I always included their horchata as part of the Lent tradition. This year I decided on iced tea, but the horchata really is one of the best I have found anywhere.